Attending a concert at the Hollywood Bowl is one of Southern California's great music traditions. Pre-concert picnics are an essential part of the Bowl experience. Unless it's one of the handful of leased events during the season, concertgoers are welcome to bring their own food and drink to enjoy at one of the Bowl's 15 official picnic locations. Restaurants across the city offer a wide range of picnic boxes that are perfect for couples and groups. From baskets with salads and sandwiches to decadent caviar, read on for the best picnic boxes to enjoy at the Hollywood Bowl. After two decades on Highland Avenue, Amy Sweeney's AMMO has returned to its roots with AMMO Catering, AMMO at the Hammer, and the newest AMMO To Go on Melrose Avenue, featuring the bounty of the seasons and harvests of the AMMO gardens and local farming partners. AMMO To Go offers a wide range of boxes, platters and bowls that are ideal for groups. Highlights include platters of half-sandwiches like roasted chicken breast, prosciutto, steak or vegetable; various prepared salads that serve groups of 8 up to 40 people; signature dishes like orecchiette, turkey meatloaf, hanger steak and grilled chicken. There's also the AMMO Box Lunch ($20) with choice of sandwich, prepared salad of the day, farmer's market fruit, AMMO chips and chocolate chip cookie. Whether it's the original location on West Third Street or the sequel in Studio City, Joan's on Third is a perennial favorite for Hollywood Bowl picnics. 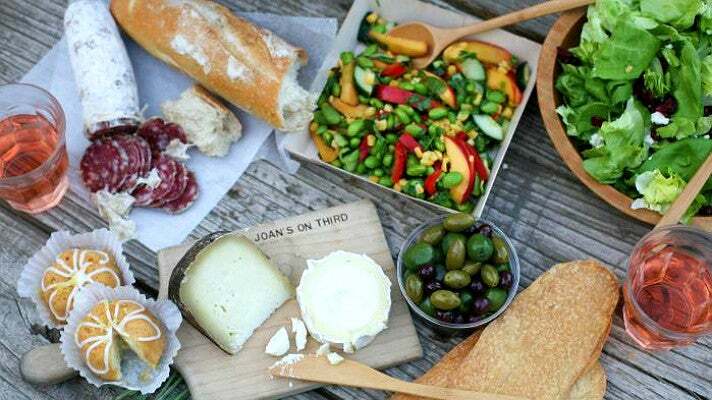 During the summer months (May-September), Joan's offers several savory picnics that will be the centerpiece of your pre-concert gathering. Throughout the year, Joan's can fill custom picnic boxes with freshly prepared menu items and seasonal treats available in the Marketplace. 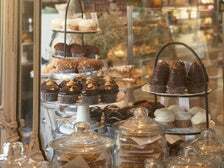 Options include entrees like oven roasted beef tenderloin, grilled salmon, and trio of vegan salads; shared plates such as assiette de fromage, tre salami, Joan's potato chips and housemade dips; desserts and wines. To ensure your picnic is ready, place your order at least 24 hours in advance. 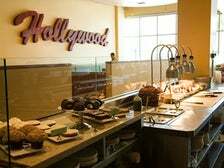 In August 2015, the Hollywood Bowl announced a ten-year partnership with The Lucques Group - the acclaimed partnership of Suzanne Goin (named Outstanding Chef at the 2016 James Beard Foundation Awards) and Caroline Styne (James Beard 2018 Outstanding Restaurateur) - to provide exclusive food and restaurant services throughout the landmark venue. Besides the Bowl's on-site takeaway and sit-down dining options, concertgoers can enjoy Goin's cuisine with picnic boxes from The Larder at Tavern, The Larder at Maple Drive and The Larder at Burton Way. 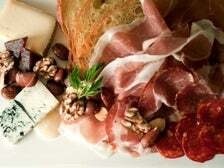 Priced at $29-36 per box, the picnic options include The Southerner (fried chicken with buttermilk dressing), The Darlington (slow-roasted salmon with cucumber-dill yogurt), or the Cheese & Charcuterie Box for Two (selection of three cheeses and assorted charcuterie with marcona almonds, mixed olives, ficelle and Oregon creamery butter). 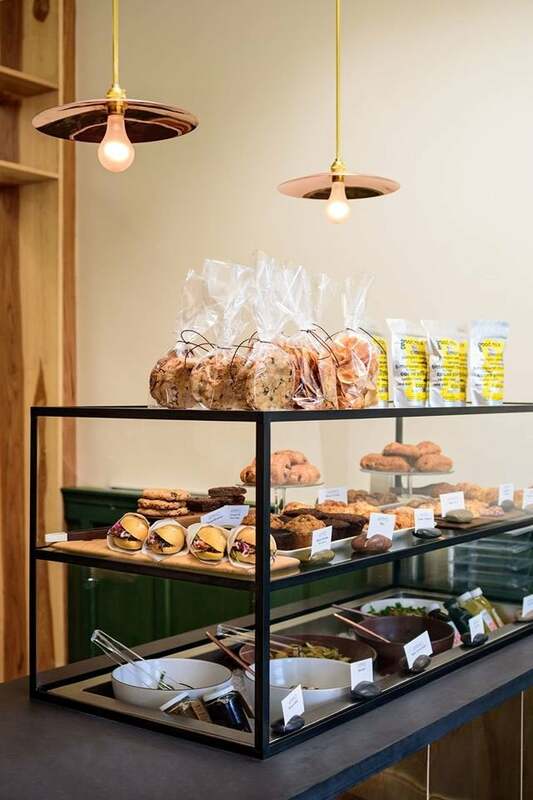 You can also create your own customized picnic box with the Larder's seasonal selection of prepared foods, artisanal cheeses, charcuterie, wines, freshly-baked pastries and sweets. 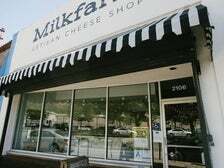 Milkfarm is a neighborhood cheese shop located in Eagle Rock which specializes in artisan cheese, charcuterie, and other handmade food products from small and independent producers. 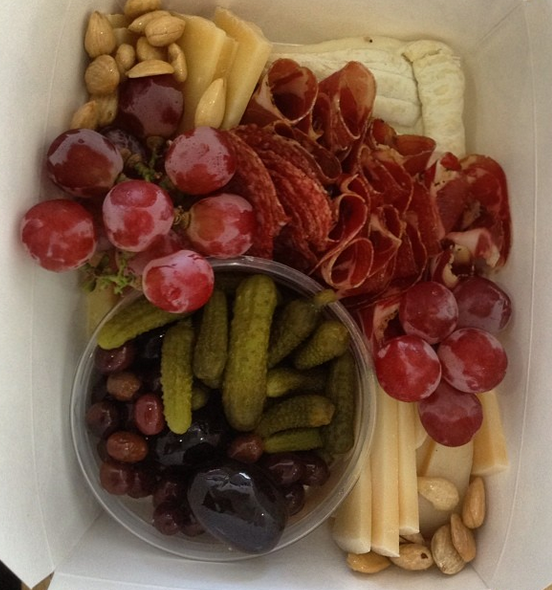 Priced at $32, Milkfarm's ready-to-go Picnic Boxes serve 2-4 people and include two pieces of cheese, one artisan salame (sliced), olives, cornichons, seasonal fresh fruit or grapes, Marcona almonds, and a half baguette. Napkins and knives are included. Add reusable Govino wine “glasses,” beer, wine or additional gourmet food items at retail cost. The selection in the basket is Cheesemonger’s choice, requests will be considered. More expensive requests will be at a supplemental charge. This counter-serve extension of Pizzeria Mozza offers thin crust artisan pizzas, antipasti and salads for takeout and delivery. 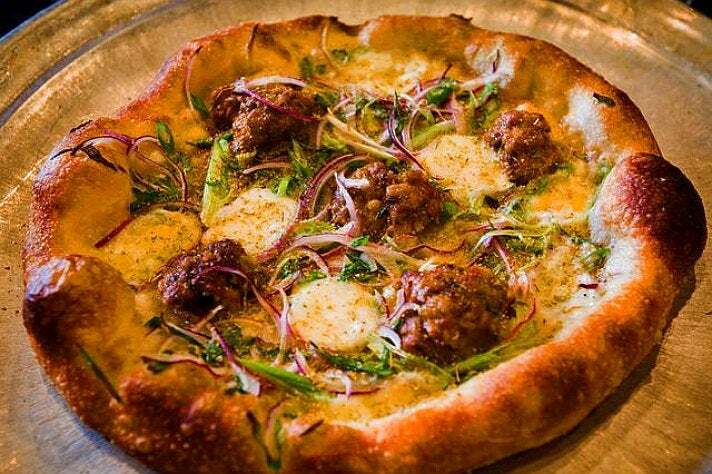 Greatest hits from the celebrated pizzeria include the fennel sausage pizza, Nancy's Chopped Salad and the iconic Butterscotch Budino. Large format items that serve 6-8 people include the Antipasti Combo ($60); Pizza e Antipasti with five pizzas, one antipasti and one biscotti ($90); and the Just Pizza Combo with five pizzas ($76). A selection of Italian wines is also available. 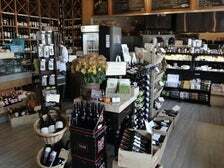 This Franklin Village market is a popular neighborhood spot that's well-known for its selection of craft beers, boutique wines, small batch liquors, artisanal cheeses and fresh-roasted coffees. The Oaks Gourmet offers several Picnic Baskets, ranging from The Super Seat ($40 for two sandwiches, salad, chips, two bottles of Oaks gourmet water) to The Pool Circle - three sandwiches, three salads, cheese and meat plate, two bottles of wine, two wine glasses and corkscrew ($110). Orders must be placed no later than 1 p.m. on the day of pick-up. 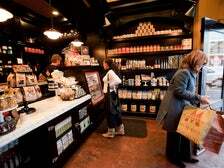 Bonus: the baskets are re-useable and when you bring your Oaks basket back, you receive 10% off your package. For a truly extravagant picnic at the Bowl, Petrossian West Hollywood Boutique & Restaurant offers several baskets in a signature blue Petrossian insulated tote bag. Popular packages include the Petrossian Charcuterie Basket ($240); the Petrossian Caviar Powder Basket, which includes a grinder of Caviar Powder, smoked scallops, smoked salmon, smoked sturgeon, creme fraiche, baguette toasts and mini blini ($325); and the Picnic in the Park, with choice of caviar, pork saucisson, smoked cod roe, sardine rillettes, and a sampler of chocolates (from $295). 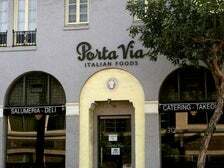 Hollywood Bowl veterans swear by the picnic boxes available at the Pasadena location of Porta Via Italian Foods, the European deli, market and cafe. 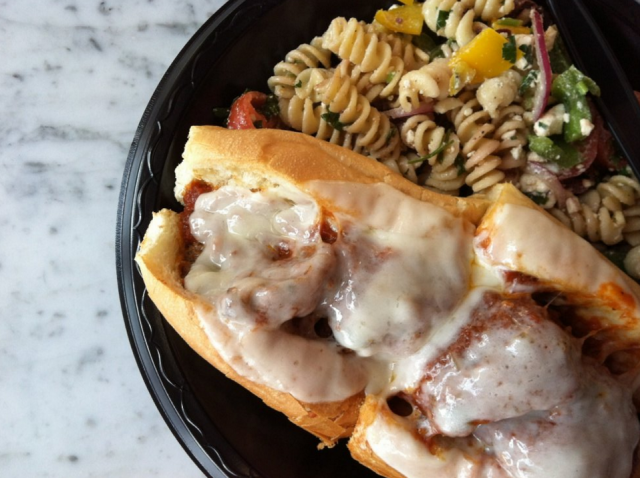 Entree sandwiches include artisan salami, roasted turkey, Snake River Farms roast beef, Italian tuna salad and Italian sub. Entree selections include steak salad, Italian chop salad, pasta primavera, grilled crusted salmon, grilled chicken kabobs and curried chicken salad. 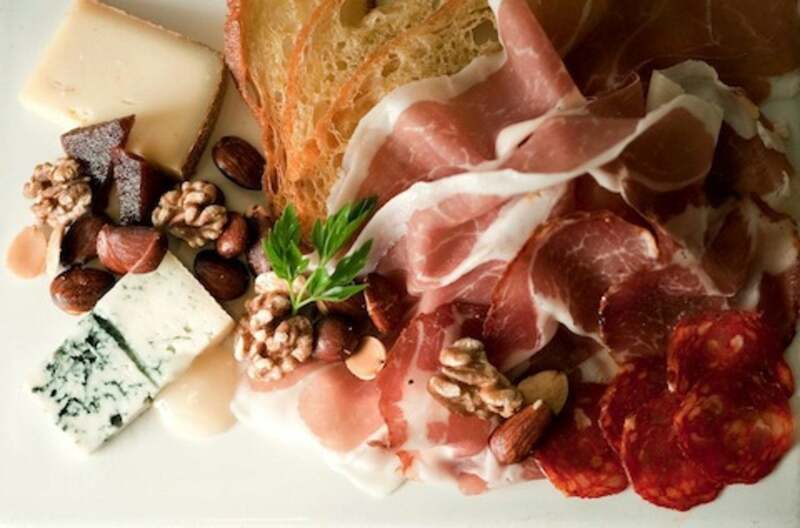 There are also antipasti options and a gourmet international cheese platter. Boxes are designed for four people; each box must pick the same salad option and side dish option. 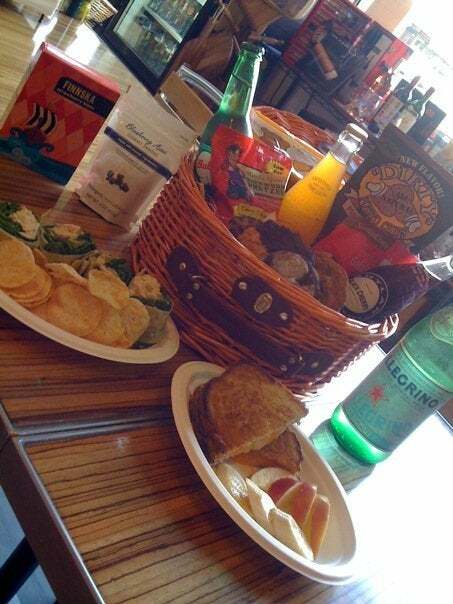 Picnic boxes must be ordered 48 hours in advance. For $5 per box for four people, you can create your own picnic box with Porta Via's in-house prepared food items and beverages. The Tender Greens chain of fine casual restaurants serves chef-inspired farmer's market dishes with a global influence. Located at Sunset and Vine less than two miles from the Bowl, the Hollywood location of Tender Greens is a convenient option for takeout. Plates - available with choice of protein, green and side - include chipotle barbecue chicken, backyard marinated steak and herb brushed tuna. Salads include Chinese Chicken, Grilled Chicken Cobb, Serrano Grilled Shrimp Bowl, Tuna Nicoise and Happy Vegan.